Human Resources Departments have the difficult task of managing personnel files and keeping those files secure. 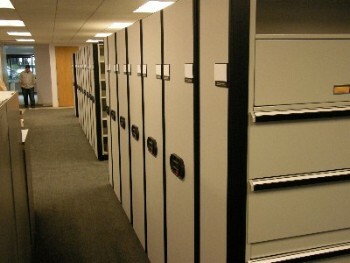 High density file storage and file room security are essential for all human resources departments. MTM Business Systems specializes in the design and implementation of high density storage systems. 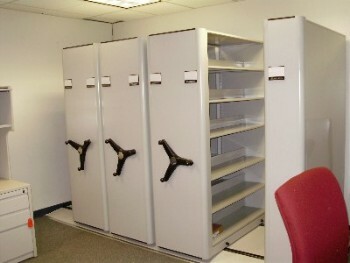 File storage systems for offices include high density mobile filing systems for low activity records stoage requirements. Highly active records require a more productive storage system such as a Rotomat Office Carousel providing end users with a fast and ergonomic storage and retrieval. Staying with the technology theme, tracking paper can be a nightmare when files have no indexing. MTM Business Systems offers Virtual Doxx Paper and Electronic Recordkeeping Software to alleviate the lost file problem within offices. Our software department will configure Virtual Doxx to meet your needs for today (paper) and tomorrow (imaging) including the ability to track files using RFID.